Most likely the culprit is antifreeze. Pay attention to when you smell this odor. It would be when the heat is turned on, the engine has been running for a while, or it could even occur once you've turned the car off. There could be antifreeze leaking in your car or from the core of the heater. The smell of rotten eggs usually comes from the compound hydrogen sulfide. This compound is a byproduct from sulfur found in fuel. This smell could indicate engine or catalyst converter issues. It's possible that the converter or fuel system is not functioning properly. This needs to be checked out by a professional immediately. Yes. As strange as it sounds, many people face the problem of their car smelling like a musty gym locker room. This unpleasant odor most likely indicates that there is mold or mildew inside your air conditioning vents. It's important to dry out your vents by turning off the A/C and blowing air through the system. If this still doesn't solve the problem, have a professional take care of it for you. Don't be alarmed if you just filled up your tank and smell the odor of gas. However, if you haven't just refueled and still smell it, you should be aware that there might be a problem. The smell of gas might indicate that there's a leak. This leak is most likely in the fuel injector line or the vehicle's gas tank. You need to get this examined as soon as you can because a gas leak poses a serious fire hazard. 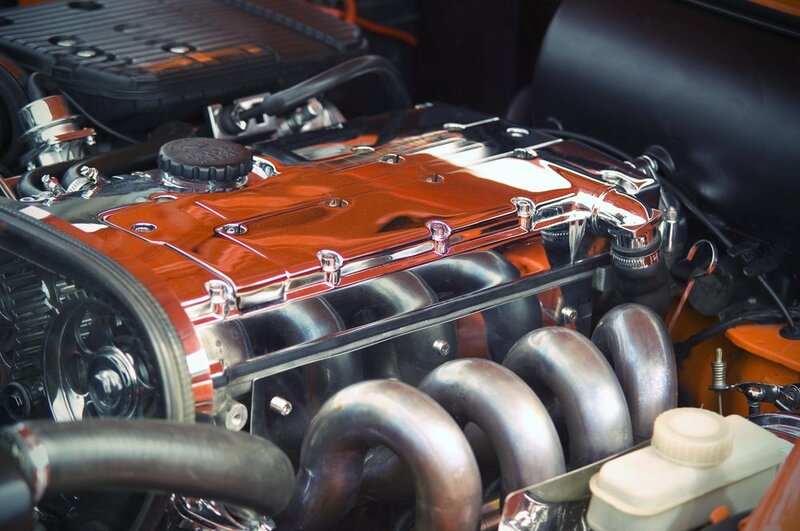 If you smell oil when your engine is hot, it might be an oil leak into the exhaust. Look for oil dripping on the ground underneath your car. It's important to note that it is possible for the leak to not be visible on the ground if it all drips onto the exhaust. Another indication could be thick smoke if the leak persists and gets bad enough. The odor of burning carpet typically is a result of overheating brakes. Riding your brakes downhill may create this odor. However, if you're driving normally, your parking brake might be on. Check your parking brake and if it isn't engaged, it's possible that your brakes are not functioning as they should be. This poses a hazard and they are at risk of malfunctioning. Don't wait until it's too late. Get your car serviced regularly and as soon as you think there might be an issue. You don't have to be a car expert to be able to spot (or smell) when something is wrong with your vehicle. Always pay attention to your car. Funny smells and noises can indicate major problems under the hood. Train your nose to recognize odd smells and what they mean so that you can describe what's going on when your car gets checked out by a professional. Interested in blogs like this one? Find more here.